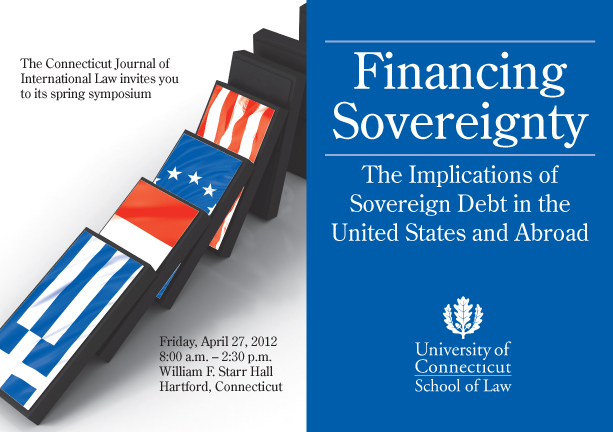 As a shameless plug the law journal I edit, the Connecticut Journal of International Law, has its symposium on the sovereign debt crises coming up. It should be interesting. For more information and to RSVP click this link.